by Bill Dwight on Thursday, March 28, 2019 at 9:03 AM | LEAVE A COMMENT! Add a repeating item called “Xbox Loan Payment” for each kid starting on the first payment date and repeating every two weeks (aka, every fortnite 🙂). 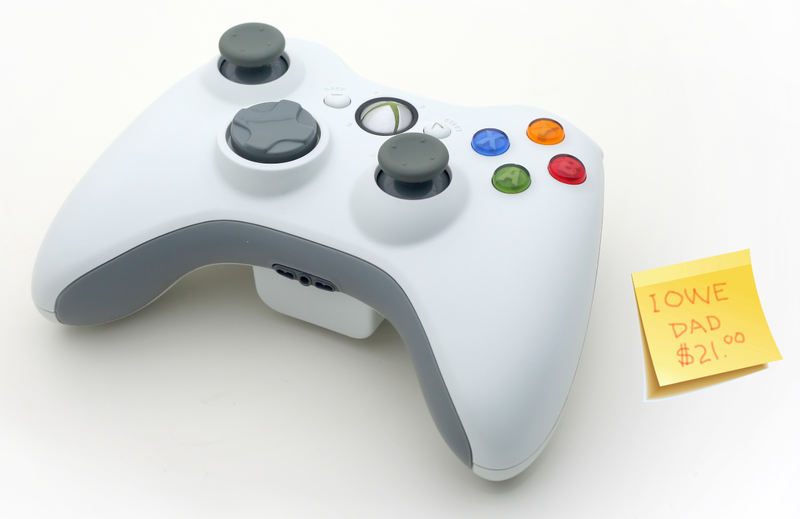 Set up the item’s rewards and penalties such that, upon expiration, it debits $7 from the kid’s card (back to the parent card) and credits $7 to the kid’s Xbox loan account (thereby reducing the balance due). That’s it. 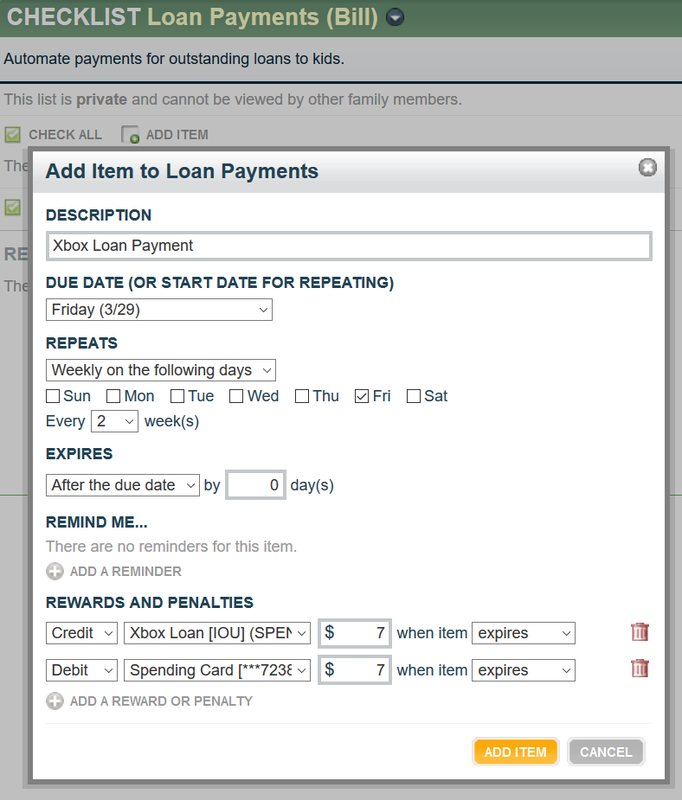 You’ve automated the loan repayment, and the kids will see their progress whenever they sign into FamZoo. 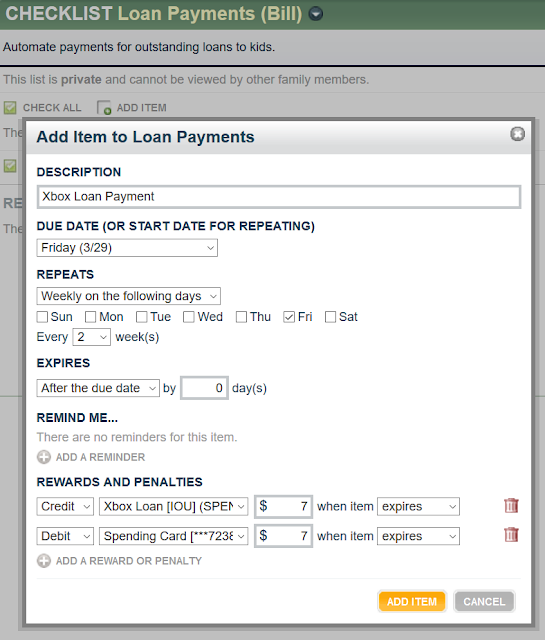 Once the loans are repaid, delete the repeating items to stop the payments. You can create a single non-repeating item on your checklist with the right due date and a text reminder to make sure you follow through at the right time. Every fortnite, your child will be reminded there’s no free lunch.